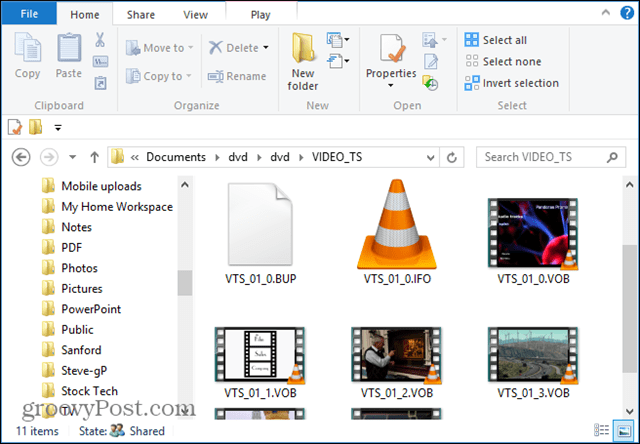 When it comes to video files on your PC, there are several different file types – i.e., MKV, AVI, MOV. DVD Flick burns any video format to a playable DVD. When it comes to video files online and on your PC, there are several different file types – i.e., MKV, AVI, MOV, WMV and several more. Sometimes if you have a video you want to show to a not-so-techy friend or family member, you might need to burn the file to a DVD that will actually play on their DVD player. For example, I had an MKV file of a documentary that I wanted my parents to watch. Instead of explaining VLC, Chromecast, or using the USB port in a Roku – I took the path of least resistance – creating a DVD that they are familiar with and they’ll be able to easily play. 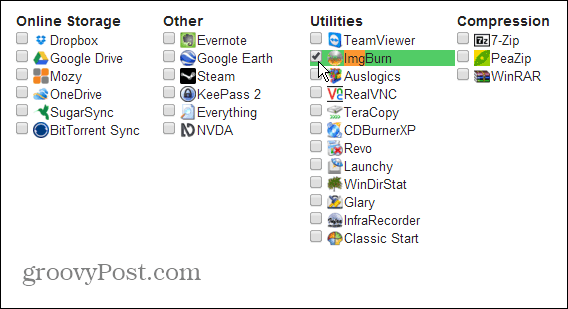 Note: After installing DVD Flick, make sure you have the popular and free ImgBurn software installed too. DVD Flick uses ImgBurn to actually write the converted VOB files to your blank DVD. 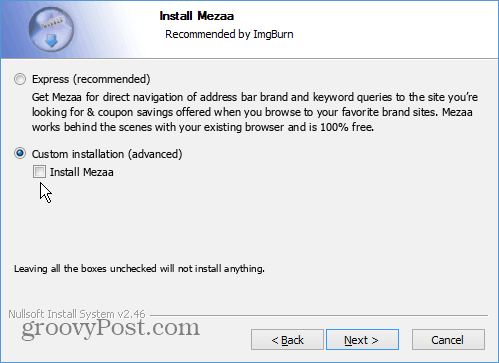 Always use Custom installation and uncheck any extra toolbars or other worthless junk you don’t want. 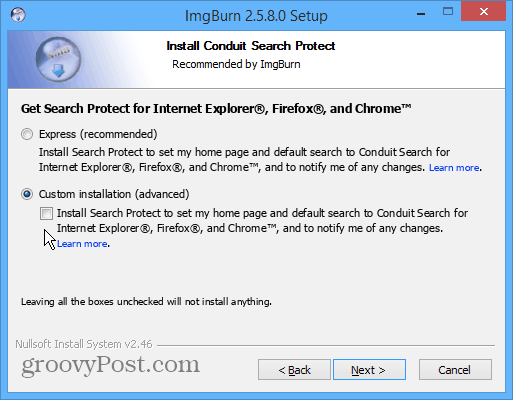 Better yet, if you don’t want the hassle, install ImgBurn from Ninite.com. It will automatically uncheck the extra junkware for you so you’re assured a clean install. It’s under the Utilities section. There are several commercial programs you can use like Nero, but if you want something free and easy to use, DVD Flick is the way to go. 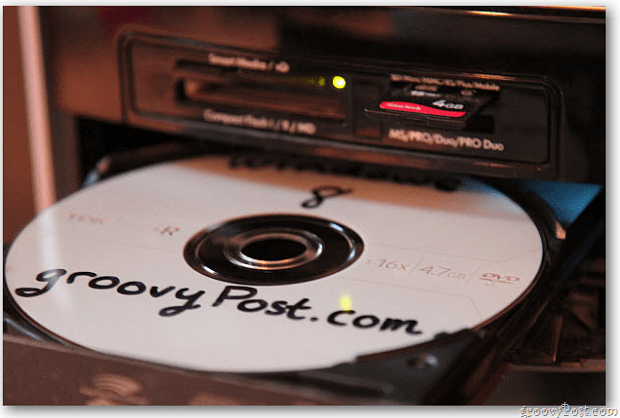 It allows you to create DVDs from virtually any video file type you can throw at it. I say “virtually” but if you have a file type it doesn’t support it would be quite surprising. To get an idea, check out all of the video codecs, audio codecs, and container formats supported by DVD Flick. And the cool thing is, each video can be a different file type. Yep, that means you can create a DVD with multiple video files. Maybe you have something in FLV format you downloaded from YouTube, a WMV from Microsoft, and a MOV file from Apple…you can put them all together and create one playable DVD. The secret behind DVD Flick is it uses the powerful open source encoding project FFMPEG. In fact, my favorite Chromecast app, Videostream for Chromecast, uses FFMPEG to convert all sorts of file types on-the-fly. To create a new DVD, click Add Title at right-side of the program. Next, browse to and select the video files you want to add to the DVD you’re creating. Remember that you can select multiple files at once, and you don’t need to pay attention to the file type. After the files are added you can rearrange them in an order you prefer in the project area. 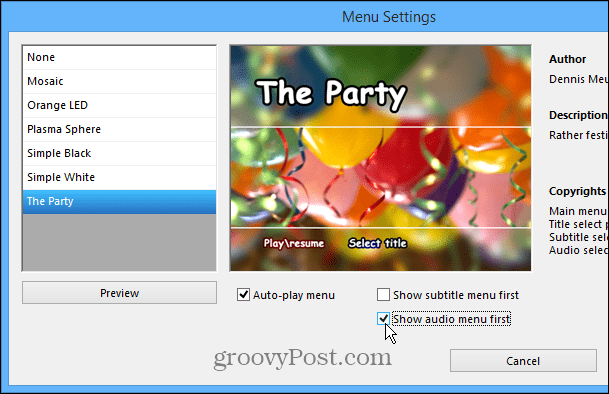 There are some basic menus for the DVD you can customize for the DVD as well. 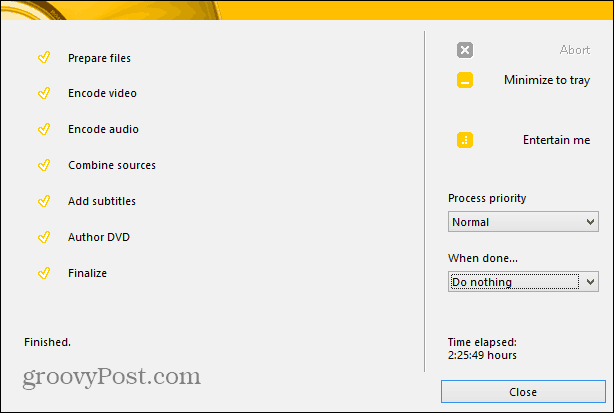 Once you’ve configured the menu – start the process of converting your video files and burning the DVD. The process can take quite a long time (depending on the size of the video files), and the guys at DVD Flick thought about that. 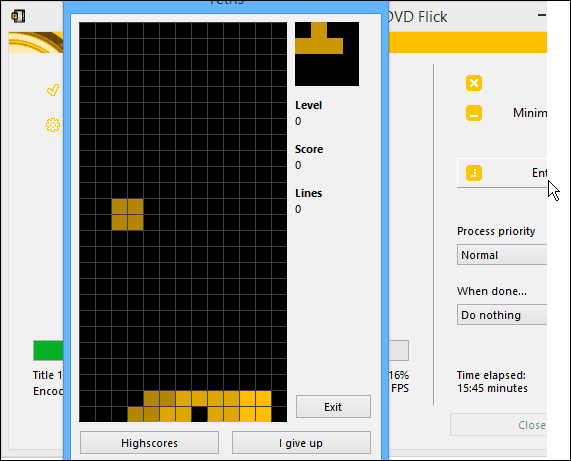 Click “Entertain Me” and you can play a simple version of their Tetris remake. If that’s not enough to keep you entertained, play Angry Birds on your mobile device, or better yet, let it run over night so you don’t have to be bored. When it gets to the Author DVD step, that’s when it will launch ImgBurn and start burning it automatically. While it’s running you can select what you want to happen after the DVD is created. “Verify” is selected by default, and I recommend leaving that checked. When it’s completed, you’ll see all of the tasks in the list have been completed and the process is finished. One issue is DVD Flick doesn’t clean up after itself after the DVD has been created. So the VOB files for the DVD will be left over, and you’ll need to manually delete them or back them up if you want. Instead of paying over $70 for Nero 2014, give DVD Flick a go. It’s not as flashing, and can take a bit longer when compared to Nero, but it’s free and get’s the job done. Thanks for the walk-through and suggestions–I’ve never burned a video file onto a DVD, but this sounds doable…and the price is right for me.